Chicago South Shore & South Bend 19 is towed out of the Illinois Railway Museum's Barn 6 during a switch move. 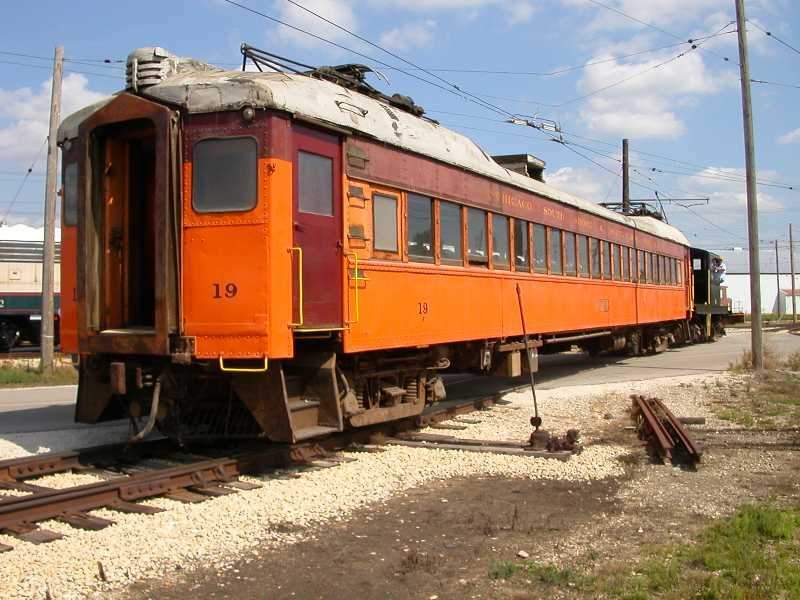 This car was lengthened by the South Shore but was never air-conditioned; it is not operational. Photographed by Frank Hicks, September 18, 2005. Added to the photo archive by Frank Hicks, September 22, 2005.